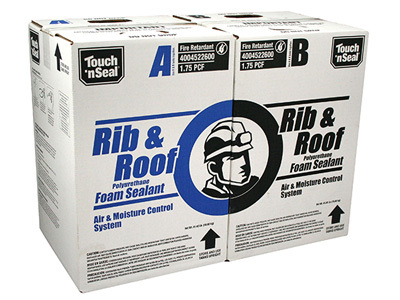 Rib & Roof polyurethane foam sealant is a unique, proprietary, non-strength enhancing, two part expanding foam system. It provides an air moisture barrier which, after application, isolates the coal seam from air movement that can cause scaling and general spalling of coal off the ribs and roof in underground coal mines. This proven, maintenance-free system ensures a brighter, safer working environment while reducing dust. Rib & Roof costs a fraction of traditional "cement" coatings and it does not require pumps, water, compressors or supplied air.